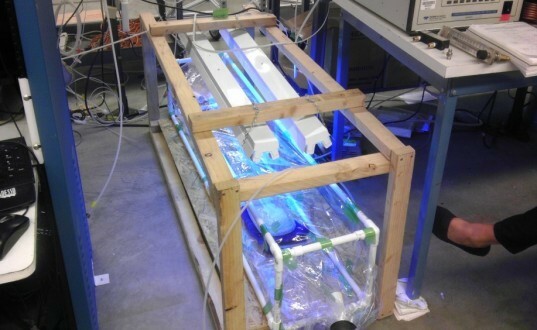 A team of ambitious students at the University of California at Riverside have developed an incredible new weapon in the battle against air pollution. 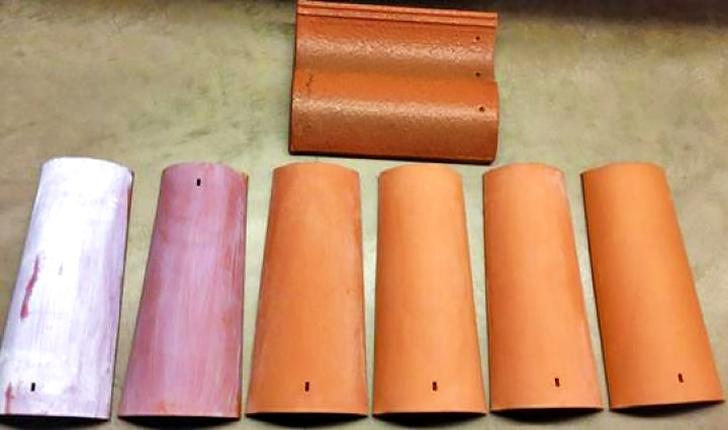 For their entry in the Environmental Protection Agency student design competition, the UC students created roof tiles coated with titanium dioxide that can break down smog-forming particles in the atmosphere, essentially eliminating a large percentage of harmful nitrogen oxide gas emitted by vehicles and power plants. It’s commonly known that smog is caused by nitrogen oxide gases that react to sunlight, essentially sentencing most highly-trafficked cities to become highly-polluted cities. Through their research, the UC students discovered that by coating clay tiles with titanium dioxide, 88 to 97 percent of nitrogen oxide pollution can be removed from the atmosphere and broken down into less harmful compounds. Titanium dioxide is a common, inexpensive chemical found in a variety of everyday products. In fact, it’s so inexpensive that the students calculated that an average-sized residential roof can be covered with tiles coated with the chemical for just $5.00. After one year, research suggests that the tiles could break down the equivalent number of smog particles generated by a car that has driven 11,000 miles. Thanks to their breakthrough research, the students won $15,000 in prize money from the EPA P3 (People, Prosperity and the Planet) competition, but they’re not done yet. The team wants to continue to expand their discovery horizons by adding their titanium dioxide coating to exterior paint, concrete, highway walls and/or dividers. Way to go! That is awesome! Congratulations. Students from the University of California at Riverside have created a new coating for smog eating roof tiles that can drastically cut down smog in highly polluted area. Mini atmosphere chamber built by the students for the experiments.